Stumbling forward only works if you know which direction is forward. Don’t think of stumbling as unfocused wandering. 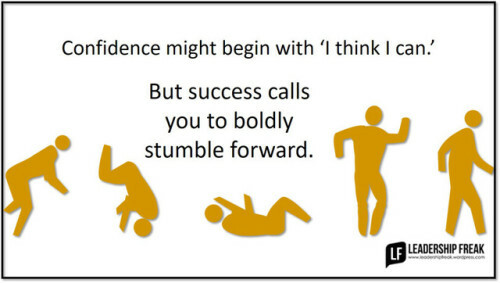 Stumbling forward means you have an idea of where you’re going, but you’re not sure how to get there. Passion clarifies what forward looks like. Reject perfection, but swing for the fence anyway. I hate the thought that stumbling might be an excuse for being halfhearted. Stumbling forward isn’t drifting. It’s stepping into something new with openness and gusto.